This has been a big year of firsts since we took possession of 1123 Venables St. a year ago, and today is no exception: first blog post! We wanted to use this space to share news and information about our progress as we get closer to opening day. This week there have been a couple of big pieces of news. Firstly, we got our lounge endorsement from the Province! This basically means that, barring any unforeseen circumstances, we will have the capacity to host 67 of you at a time once we open! Secondly, one of our owners, Anique, left her ‘day job’ to start working full time at the brewery to help get things ready for opening. Ryan has already been full time since we got our building permit back in March. 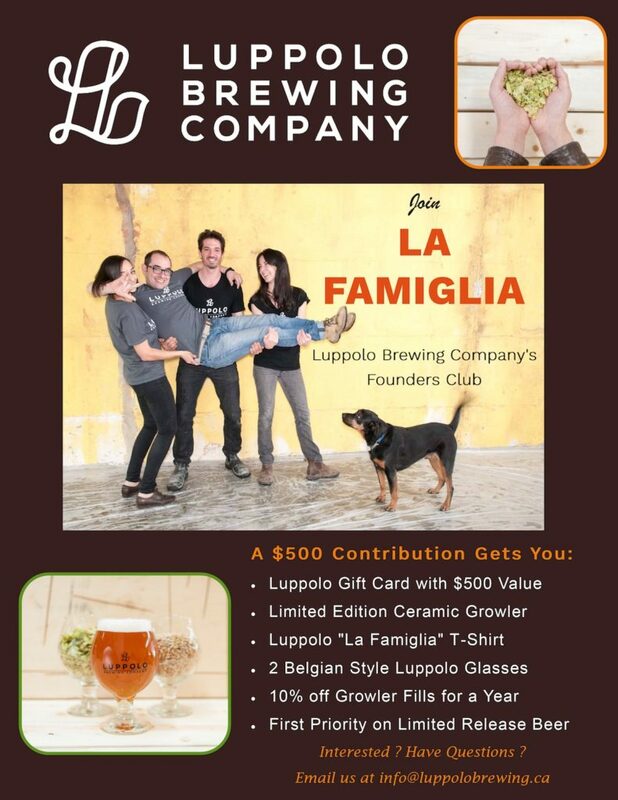 Ryan is not only an owner and the head brewer at Luppolo, he’s also building the brewery! Such a great guy to have on the team. Anique plans to focus on getting everything non-construction related organized and help out with whatever grunt work she can. If you or anyone you know is interested or has any questions, please feel free to get in touch with us at info@luppolobrewing.ca.